Tour homes like this one at 15 Meeting St. on the annual Fall Tours of Homes and Gardens. Go ahead and admit it: you’ve walked the streets of downtown Charleston, craning your neck and peeking through fences to get a glimpse of some of the amazing private homes and gardens. Good news: you have a chance to tour those spaces – no fencing peeping necessary. 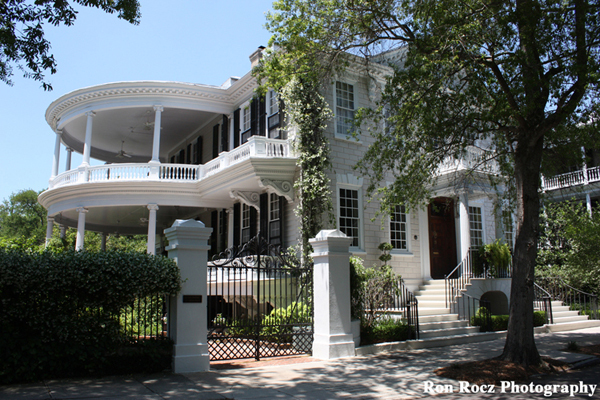 The Preservation Society of Charleston is hosting its 36th annual Fall Tours of Homes and Gardens through Oct. 28. Tours are at 6-9 p.m. Thursdays and from 2-5 p.m. Fridays, Saturdays and Sundays. All tours are self-paced walking tours on the peninsula of Charleston within the city’s historic neighborhoods. The tours feature beautiful gardens and architecturally significant homes, churches and public buildings. Highlighting the best of American architecture from the early Georgian Period up to and including the 21st century, each tour shares a unique neighborhood that represents Charleston’s flourishing culture from the Colonial era to the present. Most of the properties on tour are privately owned and are open to the public exclusively for this event. Trained volunteer guides will interpret the history, architecture and decorative arts of each property. Tickets are $45 per person, per tour and are available via the Preservation Society of Charleston website, by calling 843-722-4630 or at the Book & Gift Shop at 147 King St. Weekend packages and group rates are available. Let us know if you take a tour and what you thought of the homes and gardens.